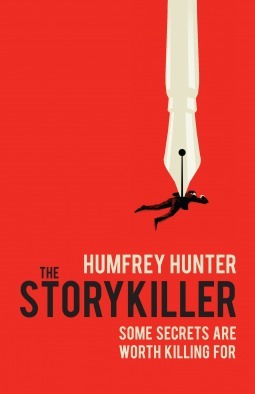 Before I start my review, I would like to thank Silvertail Books and NetGalley for allowing me to review The Storykiller by Humfrey Hunter. You start off reading the story by being introduced to Jack Winter as he is standing on a street corner, smoking a cigarette. While he is standing there, a woman stabs him. We find out later that she was the mother of a little girl who was kidnapped and killed and that Jack was the lead reporter on the case. While Jack was interviewing the main suspect, the little girl was being held in the suspect’s house. Jack harbor’s deep guilt over not being able to sense that the child was there and over her death. He believes, wrongly, that he caused her to be killed. Make sure to keep this in mind while you read the book because it explains a lot about Jack’s actions during the book. Jack is no longer a reporter. He has earned a reputation as a storykiller. What that means is that he gets to the reporter before the story is published and squashes the story. He squashes it either by bluffing or by calling contacts and having them contact the reporter/people wanting the story published and having them tell the people that they will take legal action or other action (use your imagination) if the story is published. One day, he is contacted by a businessman named Edward Valentine. He has a job for Jack to do. His friend, Adam Pryor, needs a story killed. See, Adam will be in the running for the PM of England and he just did something very stupid. He slept with a 19-year-old girl, didn’t tell her that he was married and she is threatening to go to the media….because she was mad that he didn’t tell her he was married. This is where Jack will come in. He will talk to the girl and convince her to not to go to the media. If that doesn’t work, he knows the reporter the girl is talking to and he will go straight to her and convince her not to run the story. This is where the story took a couple of unexpected turns. See, I was expecting the story to just be about Jack trying to convince this girl not to go to the media. I was not expecting the story to take the twists and turns that it did. Put it this way, the book went from being slightly boring to me devouring the pages because I wanted to see what Jack was going to do next. It was that good!! The ending was definitely not what I expected and I loved it. You are kept on your feet until the last page. Will he or won’t he, that is the magic question (read the book if you want to find out). Why? This book starts off pretty boring for the first couple of chapters but more than makes up for it!! It is fast paced and keeps you guessing. A great read.